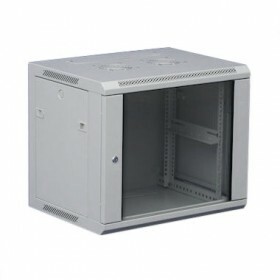 Black 4U wall mount 270mm deep network patching cabinet, designed to be used with SOHO networking in mind. Stylish design ideal for any home or office environment. 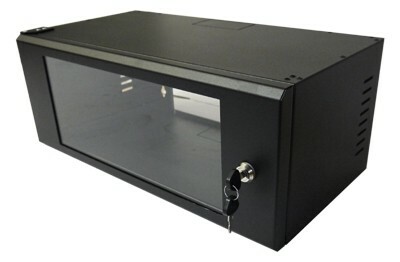 Can be mounted with door opening to the left or to the right, dependent on upon requirement. Open back for bringing cable through the rear with additional cable access to top and bottom of cabinet.